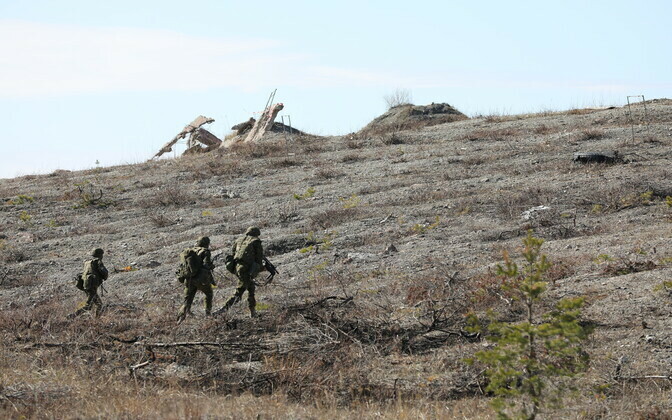 A conscript serving in the Viru Infantry Battalion was injured after making an error launching a grenade during training at the Estonian Defence Forces' (EDF) Sirgala Training Ground in Ida-Viru County. According to initial information, the conscript was practicing throwing hand grenades when a grenade fell from their hand into the trench. Both the conscript and their instructor took cover, however the conscript sustained injuries in the blast, the Headquarters of the EDF announced. The conscript was administered first aid on site, after which they were transported by ambulance to the hospital. The conscript's injuries are not life-threatening, and their family has been notified. The Viru Infantry Battalion has launched an investigation to better determine the circumstances of the incident. The EDF wished the conscript a speedy and complete recovery.